Bacon Sticks..............With Extra Cheese & Ranch. Dawnn's Rollatini....Eggplant, Spinach & Cheese..
Jalapeno Sausage Bread.........Stuffed with Cheese. Fresh Meatballs.........Baked with Sauce & Cheese. Italian Sausage.........Baked with Sauce & Cheese..
Buffalo Chicken Bread.............Served with Ranch. four Italian Cheeses and Fresh Basil. Chef Salad -Roasted Turkey, Ham, Croutons and Sizzling Bacon over a Fresh large Garden Salad. 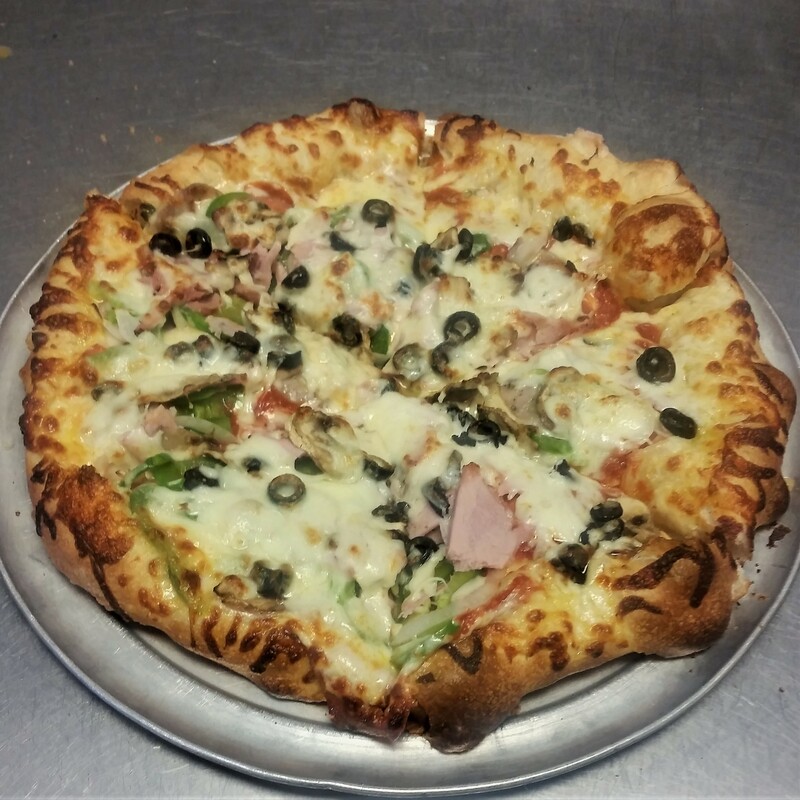 Antipasto -Ham, Salami, Capicola, Pepperoni, Black Olives, Onion, Tomato & Mozzarella. Greek Salad -Romaine Lettuce, Tomato, Onion, Black Olives, Banana Pepper, Croutons and Feta Cheese. Surf & Turf Salad -Grilled Shrimp, Sliced Sirloin Steak, Seasoned Croutons over a large Garden Salad. Pizza Toppings 10" 12" 16"
Garlic Thick Crust.... 10" & 12"